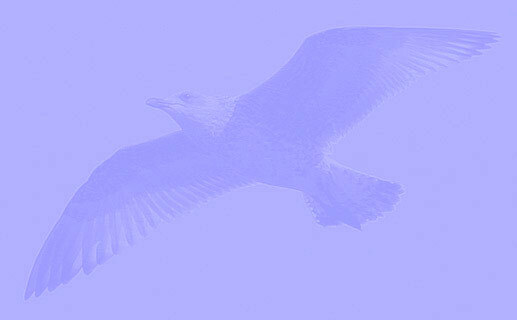 Larus cachinnans 15CY & 17CY female 7E November 19 2011 & February 13 2013, Minsk, Belarus. Picture: Dmitry Goncharov. 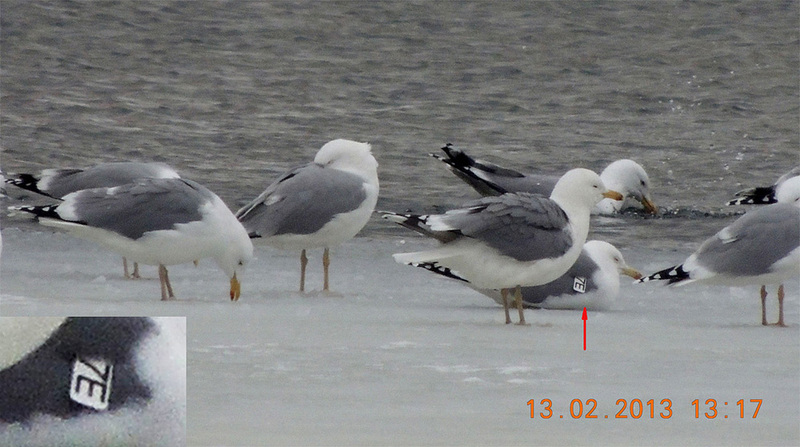 Bird ringed in winter as 3CY female Caspian Gull, December 16 1999 at Datteln Zentraldeponie (waste dump), Germany (51,63 7,35). 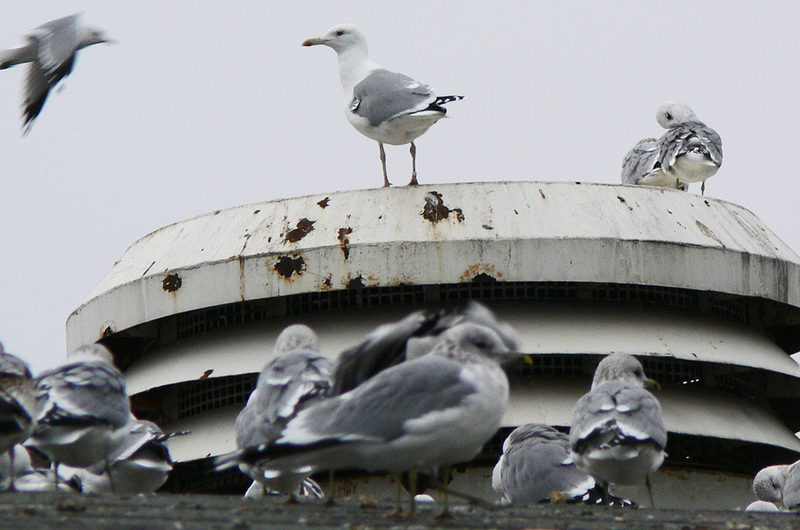 below: cachinnans 15CY female 7E November 19 2011, Minsk Gatovo roofcolony, Belarus. Picture: Dmitry Goncharov. below: cachinnans 17CY female 7E February 13 2013, Minsk, Belarus. Picture: Dmitry Goncharov.